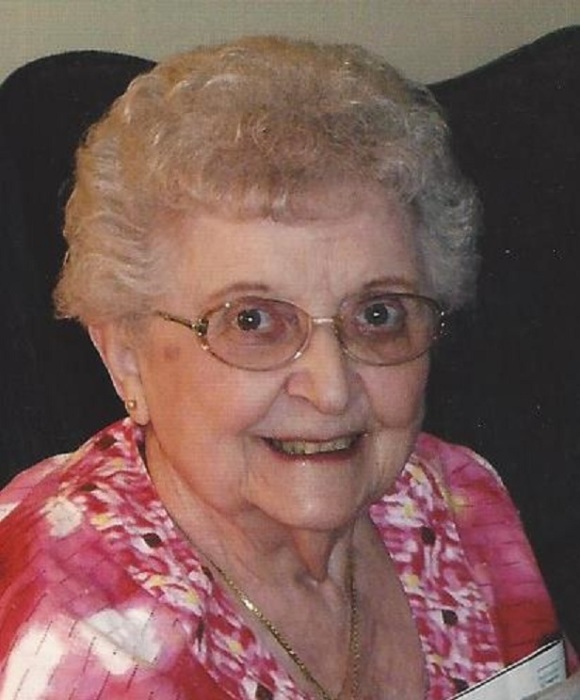 Helen Grace (Faith) Long, 90, passed away March 29, 2019. She was born in Plumville, PA on October 11, 1928 to the late Clarence and Mary Grace (Hoover) Faith. She moved to Akron as a teenager and was a long-time member of the First E.C. Church. Preceded in death by her husband of 61 years, George and brothers, Mervin and Wendell Faith, she is survived by her children, Pauline Long, George "Mickey" Jr., and Mary (Earle) Calhoun; grandchildren, Donnie, Brian, Pamela (Rob), Melissa (J) and Kyle (Madison); step-grandchildren, Courtney (Brian), Jennifer (Peter); 11 great-grandchildren; sister, Ruth Beichler; sister-in-law, Corinne Faith; and many nieces and nephews. The family would like to give special thanks to the staffs of Wadsworth Pointe and Compassionate Care Hospice. Calling hours will be on Thursday, April 4, 2019 from 4 – 6 p.m. at the Eckard Baldwin Funeral Home and Chapel, 760 E. Market St. The funeral service will be at the funeral home on Friday, April 5 at 9 a.m. with Rev. Scott Carr officiating. Interment at Ohio Western Reserve National Cemetery. Donations may be made to First E.C. Church, 369. E. Woodsdale Ave., Akron, OH 44301 or Compassionate Care, 300 N. Cleveland-Massillon Rd., Akron, OH 44333. Please share your condolences and view her Video-Gift tribute online at www.EckardBaldwin.com.